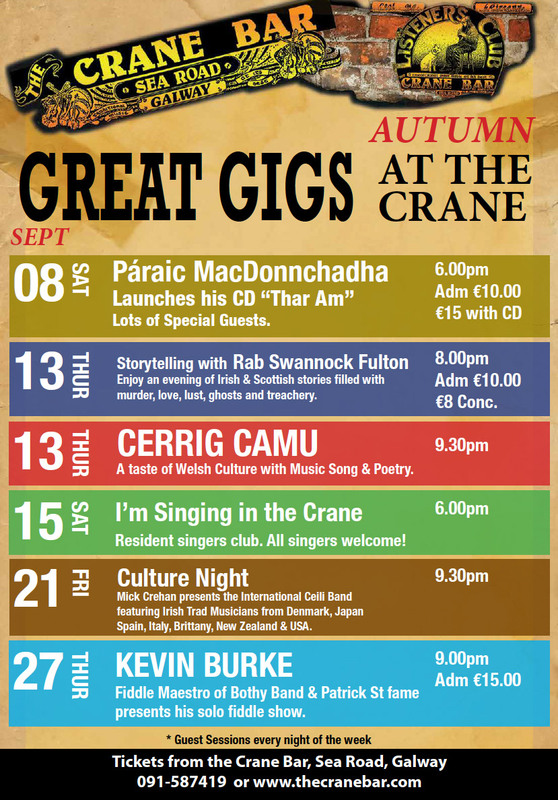 The Crane Bar on Sea Road is one of Galway’s best known traditional music pubs. It has long been a haunt of those who love to play and those who love to listen to them. Situated in the ‘Small Crane’ Square, The Crane Bar offers music nightly both upstairs and down. Upstairs at The Crane Bar is a much loved venue, seating 70 in an intimate and relaxed atmosphere remarked on by both performers and audiences alike. Concerts here range from singer/songwriters to traditional to roots music. Known far and wide as ‘The Listeners Club’, upstairs at The Crane Bar has been played in by the best known artists in the business as well as up and coming new talents. 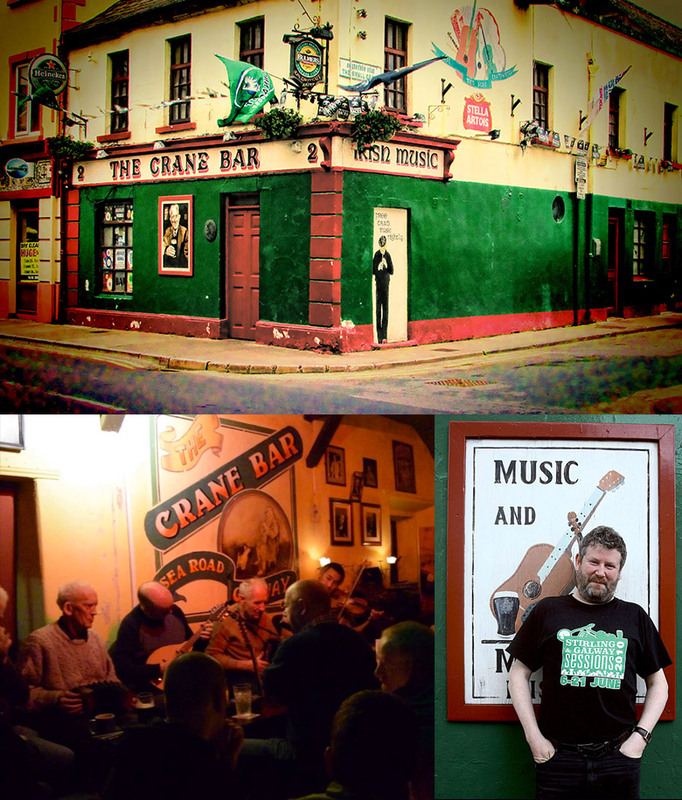 Downstairs at The Crane Bar is the ‘local’, one of the few remaining authentic traditional bars with live sessions nightly, and an atmosphere only an Irish ‘local’ can create. Try real tradition at The Crane Bar. Venue holds between 50 and 70 normally. The room is wide with the stage and mix positions at opposite sides of the main part of the room (short sides).